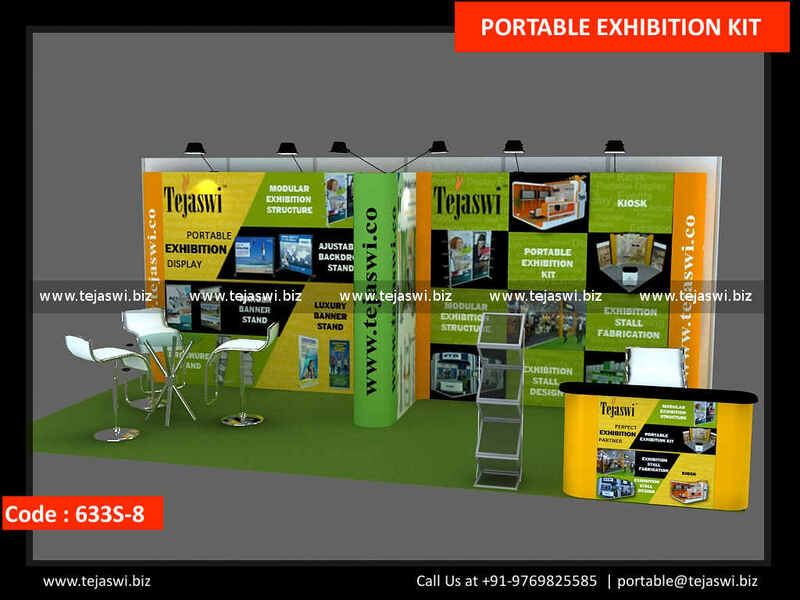 Exclusive Portable Exhibition Stand for Display in 6 Meter x 3 Meter Three Side Open Exhibition Stall Size. 6 Meter x 3 Meter Portable Exhibition Stand 633S-8 is an Exclusive Portable Reusable Exhibition Stand for 3 Side Open 18 Square Meter Space Allocation. The Portable Exhibition Stand is ready to fit in multiple size allocation and extendable with additional units for bigger Stand Space. The individual Units are packed in carry case for easy transport for Multiple setup and takes minimum time for setup and installation at any location. These Portable Exhibition Stand Combo showcase a High Quality Print Banner for any Brand and creates great Outlook for any Brand for any Kind of Exhibitions, Events, Seminars, Conferences, Brand Activation and Much More. Also Extendable to Bigger Space allocation as Per requirement. For every time You participate you can let us know to give you Best suited layout with the kit. 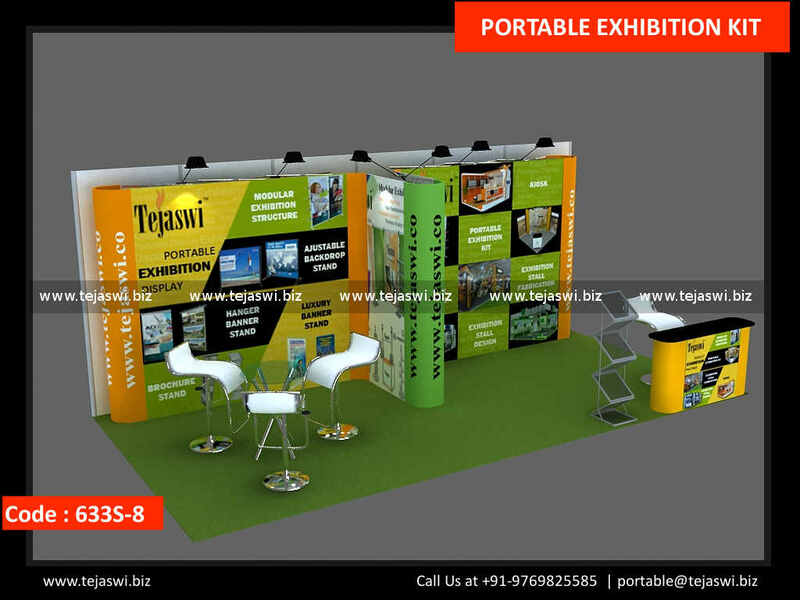 Ready for Global Exhibition Participation as save Your Global Expo Cost and Showcase the Standard of Your Brand in the Market.